nitively removed from the board. 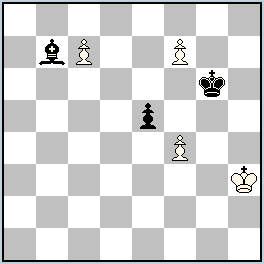 As kings can not be captured, checks and mates are orthodox. 2. Rebirth squares are called cages. A cage for a given piece is a square such that if the given piece lied on that square, its only legal moves would be captures. 3. When there are more than one cage, the side making the capture chooses the rebirth square from the available cages. 5. White pawns may reborn on the 1st row, from which they can move like ordinary pawns, including making a double step from the second row. Same for black pawns. 6. White pawns may also reborn as promoted pieces on the last row. In such case, the rebirth square must be a cage for the promoted piece, the type of which is choosen by the side making the capture. Same for black pawns. 7. A reborn piece is “brand new”; its move history is lost. For example, a white rook reborn on h1 retrieves the ability to castle. This definition of cage seems very intuitive and looks nice. But the trap is hidden in the legality. If a piece does not have any moves on some square, it is obviously a cage. If a piece can only capture from some square, it is also a cage. But e.g. if the capturing move gives check, suddenly many squares become cages – as in the given position with checked king, many pieces, even totally free, often cannot make legal moves, being unable to parry the check. The example in the above solution is 3.Bc8xg4[+wSg5]+ – after contact check Black can place wS anywhere on the empty squares except five self-check squares. This point in my opinion is quite non-intuitive and somehow decreases usability for nice cage-motivated ideas. I think the cage should be determined ignoring the check. Perhaps this what the inventor intended. After 3.Bc8xg4+ the placing of the WS on g5 actually seems like Supercirce!